Are Samsung Galaxy S Froyo Updates Being Held Back Because Of Cost? 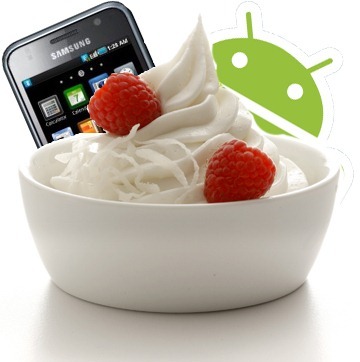 A few weeks ago, Samsung USA tweeted that Froyo updates for the Galaxy S phones are being delayed due to further testing. Then, just 4 days ago, AndroidSPIN reported that the Vibrant update (if not others) wasn't rolling out so that the Vibrant wouldn't steal the Vibrant 4G+'s thunder. And now the saga continues, as a new anonymous source has stepped forth to clarify the issue. To explain the political situation, first, a primer on how phone firmware upgrades work for carriers. When a carrier decides to sell a phone, a contract is usually written between the phone manufacturer and the carrier. In this contract, the cost of updates (to the carrier) is usually outlined. Updates are usually broken into several types: critical updates, maintenance updates, and feature updates. Critical updates are those that resolve a critical bug in the phone, such as the phone overheating. Maintenance updates involve routine updates to resolve bugs and other issues reported by the carrier. Finally, feature updates add some new feature in software that wasn’t present before. Critical updates are usually free, maintenance updates have some maintenance fee associated with them, and feature updates are usually costly. In the past, most phone updates would mainly consist of critical and maintenance updates. Carriers almost never want to incur the cost of a feature update because it is of little benefit to them, adds little to the device, and involves a lot of testing on the carrier end. Android has changed the playing field, however – since the Android Open Source Project is constantly being updated, and that information being made widely available to the public, there is pressure for the phone to be constantly updated with the latest version of Android. With most manufacturers, such as HTC, Motorola, etc. This is fine and considered a maintenance upgrade. Samsung, however, considers it a feature update, and requires carriers to pay a per device update fee for each incremental Android update. Now, here’s where the politics come in: most U.S. carriers aren’t very happy with Samsung’s decision to charge for Android updates as feature updates, especially since they are essentially charging for the Android Open Source Project’s efforts, and the effort on Samsung’s end is rather minimal. As a result of perhaps, corporate collusion, all U.S. carriers have decided to refuse to pay for the Android 2.2 update, in hopes that the devaluation of the Galaxy S line will cause Samsung to drop their fees and give the update to the carriers. The situation has panned out differently in other parts of the world, but this is the situation in the United States. Some of you might have noticed Verion’s Fascinate updated, but without 2.2 : This is a result of a maintenance agreement Samsung must honor combined with Verizon’s unwillingness to pay the update fees. In short, Android 2.2 is on hold for Galaxy S phones until the U.S. carriers and Samsung reach a consensus. Some might wonder why I didn’t deliver this over a more legitimate news channel – the short answer: I don’t want to lose my job. I do, however, appreciate transparency, which is why I'm here. The TL;DR version: Samsung provides "critical" updates to carriers for free, charges a small fee for "maintenance" updates, and a larger fee for "feature" updates. They're classifying the 2.2 update as a feature update, and carriers have yet to come to an agreement with Samsung. Obviously, there's absolutely no way to verify the legitimacy of the explanation - but it certainly sounds a hell of a lot more reasonable to me than "they're holding it to sell more of another phone." Then again, that's just my take. What's yours?